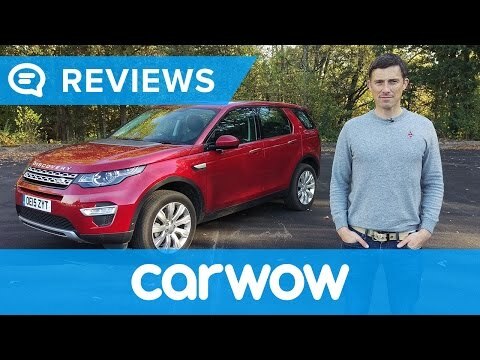 A stylish, comfortable and off-road-capable compact SUV, the popular 2018 Land Rover Discovery Sport is also the luxury brand's most affordable model. Prices start well below $40,000 for a Discovery Sport SE with a 237-horsepower turbocharged engine and Land Rover's advanced all-wheel-drive Terrain Response system. A small third row is also offered, which is unusual for the class. Beautiful exterior and interior. Car looks very new. I love that car! It has everything what i need. Beautiful inside and outside. Have all the new technology and future to help you drive and also feel safe the roads. It is car for young people but also family with kids. I really cannot complain about that car. It is very fast, comfortable and durable, I have not had any problem with my vehicle. My vehicle is very good and comfortable. It has several horsepower sufficient to meet my needs, it has many technological applications such as 4G WiFi, screens on the seats, seats are leather, has night mode, adapts to any terrain, among other things. I makes you look really cool. I love the way it makes me feel. my car is trendy. I love the ruggedness. The exterior makes me look cool. The back up safety beeping, camera and other safety things are awesome.